Every day, incredibly powerful beings wage war on evil to protect us. They have unique abilities, work in teams, and fight solely for the greater good. These aren’t comic book superheroes—they’re real-life angels. It’s hard to talk about angels without talking about power, but exactly how powerful are angels? What can they really do—and why don’t they do more? 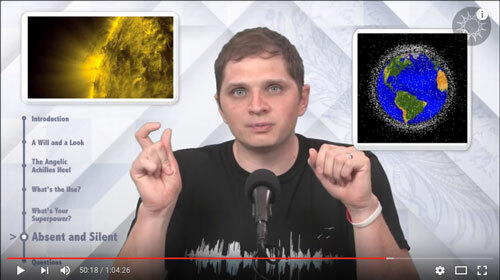 In this episode, host Curtis Childs takes a look at Swedenborg’s experiences with these beautiful, powerful, loving beings. Though they’re called many things, there’s a shared experience of angels and a general agreement that they are powerful beings. However, most people don’t see their power—or do they? If you understand the way the spiritual world flows into the visible world, the power of angels becomes much more clear. If you say you’ve never met an angel, Curtis asks, “Have you ever walked?” The ability to function streams from God, through angels, and into us. Swedenborg experienced this firsthand, but many in his church at the time didn’t feel it as intensely. In fact, according to Swedenborg, we can become angels—it’s our destination. We’re all angels-in-training, but Swedenborg got to jump ahead and experience the full power of being an angel. In one place, he describes how he was granted the ability to fight “profane magicians”—evil spirits who abuse natural laws to harm people. Against the power of an angel, these forces of evil are totally helpless. He was able to do this through focus, which is why prayer can be so powerful—it’s a focus of intention. With an angelic mind, he could directly channel that energy. If anything is opposed to the divine design, angels overturn it with minimal effort. The pure power of angels would make the average superhero look powerless. 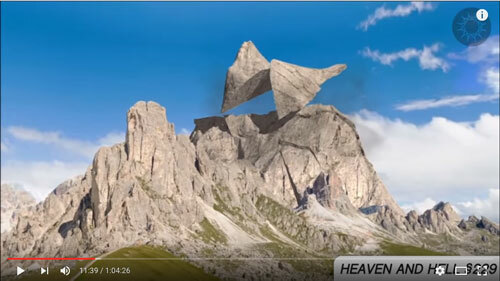 They can crush mountains that hide evil or cast demons into hell by the multitude. This power transcends the spiritual world, as reported throughout the Bible, where angels have destroyed earthly armies. With so much power, do angels have a weakness? An angel’s kryptonite has to do with ownership. 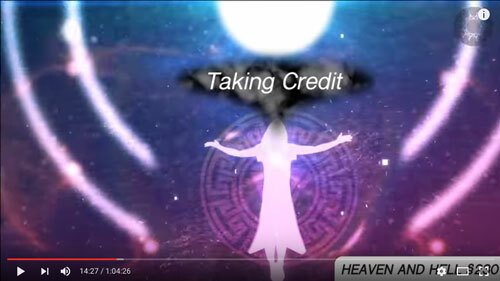 If they take credit for their power—which all comes straight from God—they can lose it instantly. If they don’t attribute their power to the Lord, which is the power of love, they can’t resist even one evil spirit. Since angels must be humble in order to function, they don’t focus on themselves as individuals. Curtis draws a comparison to an old cartoon called Captain Planet, where a group of people with different types of powers unite to form a single hero. In a similar way, angels can unite their powers to become an archangel. Angels like Michael or Gabriel aren’t single beings who are better than other angels; these names actually represent functions that are formed by groups of angels working together. The secret to power is to have the same desires that God has: to find the best, most loving solution to any situation. When angels want the greatest good to come to the whole human race, they channel God’s divine power. Divine power comes straight from the Lord, and it is made up of good and truth. Angelic power comes from the light of heaven, and the more they align themselves with divine intention, the more power they gain. They use this power for more than just the destruction of evil. 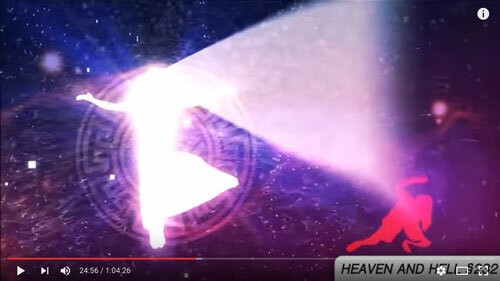 What is the useful purpose of angels’ power? One function of angels is to be our protectors. Though animosity pushes in on us, angels push back even harder by tapping into infinite divine power. Another way that angels use their power is as a means to enlighten us. In one story Swedenborg tells, an angel uses his power to open the mind of a person who had done harm to others in the world. But the angel doesn’t do it to attack or make the other person feel bad—he does it to serve. Angels live to serve in this way. 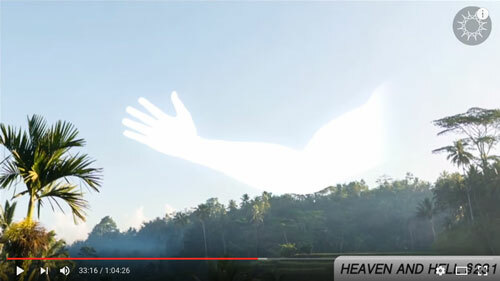 Swedenborg often describes heaven as a “Grand Human” or “Universal Human,” where each angel has his or her own role to play, in much the same way that different organs and limbs serve different functions in the human body. The strongest angels are those who act as the arm and hand of heaven. We each have the potential to be a manifestation of divine love and wisdom in a way that nobody else can. Everyone has a totally unique offering they can bring to the natural and spiritual worlds. However, we must overcome many spiritual challenges, which Swedenborg called “chastenings,” to develop that power. These powers can only be unlocked by going through difficulty. Angels are always refining and improving their unique powers. This is the reason for adversity—it’s an opportunity to grow stronger. So what kind of superpowers can we look forward to? Curtis goes through the list, which includes superhuman strength, X-ray vision, and the ability to fly. These spiritual powers make Superman look silly! But why aren’t these super-powerful angels saving the world? As powerful and plentiful as angels are, interference can limit the visibility of their power. Swedenborg describes a psychic field created collectively by the spirits closest to our world that blocks heaven from communicating directly with us. There are modern reports of a similar phenomenon: author Marilynn Hughes, for instance, talks about pushing through a field of thousands of demons floating above a city. She explains that we can contribute to this field by thinking or acting negatively, or we can help to clean it up by pushing away negativity. Curtis compares the field to space junk. Our planet is surrounded by clutter, and any one piece of debris could smash a satellite. If we push through it, however, we can become the superhuman angels we are born to be! How do some angels become more powerful than others (the ones of the right arm)? How do I know when I have met an angel? Can the souls in hell confront the angels in heaven? Do angels come through to people who do bad things on earth? When you refer to “The Lord,” who or what do you think “The Lord” is, according to Swedenborg? How does a man develop that much faith? It sounds to be a complete submission to God’s will with a complete loss of self. Can I request to talk with my angel? Can I see my angel? About the future new church that is coming, is that church eternal or are we going to get it for a while then start to go downhill again and repeat the process? 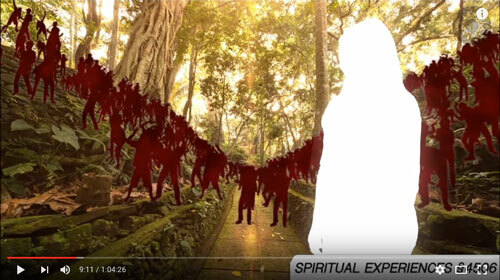 Swedenborg and Life “Angels & Spirits” Playlist includes twenty more videos about angels, life in heaven, communication with the beyond, and ways to combat the influence of evil spirits in our lives.